This year, Juventutem Michigan’s Christmas party will fall on Epiphany – January 6, 2017 – we will gather at St. Francis of Assisi, Ann Arbor, for a Missa Cantata celebrated by the parish pastor and then share a catered meal and much caroling. Please reserve your tickets here. 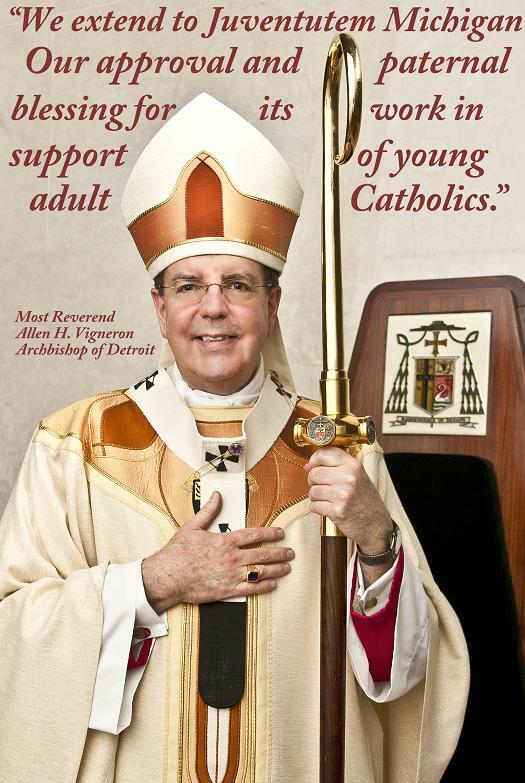 (In addition, if there are Christmas carols that you would prefer be included in this year’s program, please click over to the Archdiocese of Detroit’s young adult ministry Facebook page and share your vote(s). St. Mary, Kalamazoo: 11:00 a.m.
St. Mary Cathedral, Gaylord: 3:00 p.m.
St. Mary, Star of the Sea, Jackson: 12:15 p.m. Precious Blood Church, Stephenson: 7:30 a.m.
Sacred Heart of Jesus, Grand Rapids: 11:00 a.m. If you learn of any more, please tweet them at us, and we’ll try to update this post.